Odlewnia Żeliwa Simiński-Ordon Sp. z o.o. S.k.We love horses - Odlewnia Żeliwa Simiński-Ordon Sp. z o.o. S.k. Simiński-Ordon Cast Iron Foundry is actively involved in various non-business activities. 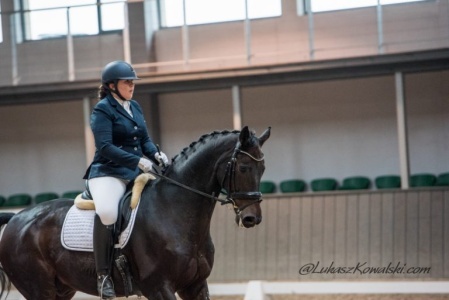 For example we sponsors Alexandra Ordon as a contestant in equestrian, in the discipline of dressage. 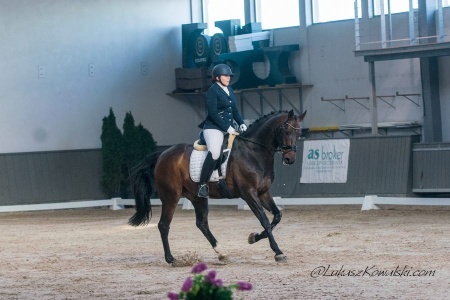 Dressage is the highest expression of horse training where horse and rider are expected to perform from memory a series of predetermined movements. Mss. Alexandra takes part in competitions on regional, national and international level. 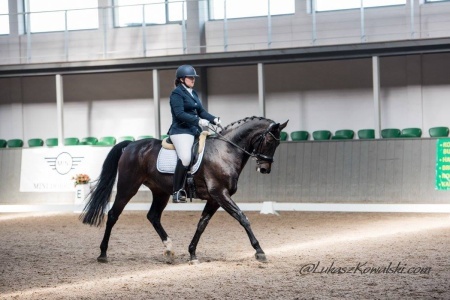 Together with her horse Don Glory (Don Primero x Glorieux) they belong to the sport stable in Silesia, where they train under the guidance of well-known dressage rider and trainer – Tomasz Kowalski. 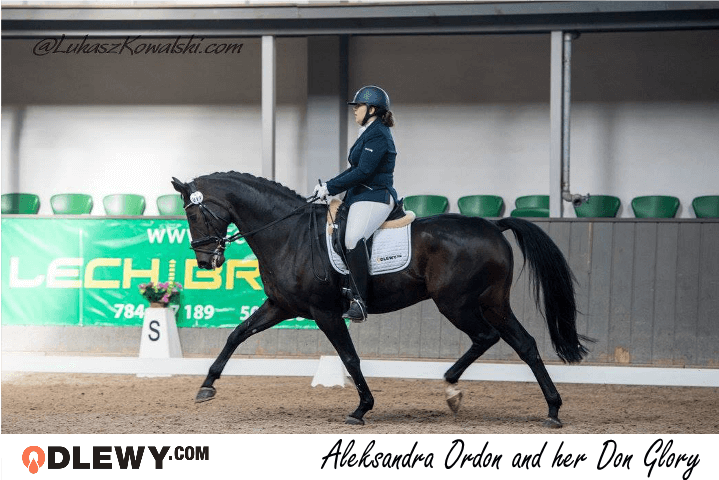 In season of 2017 Alexandra Ordon takes part in a competition for young riders (class competitions CC) and in championship level competitions as the Polish Indoor Cup and Polish Championship. Mss. Alexandra proudly represent our company by developing her skills and achieving further successes. You can follow her achievements on our fun page on Facebook. We keep our fingers crossed and wish Mss. Alexandra further success!